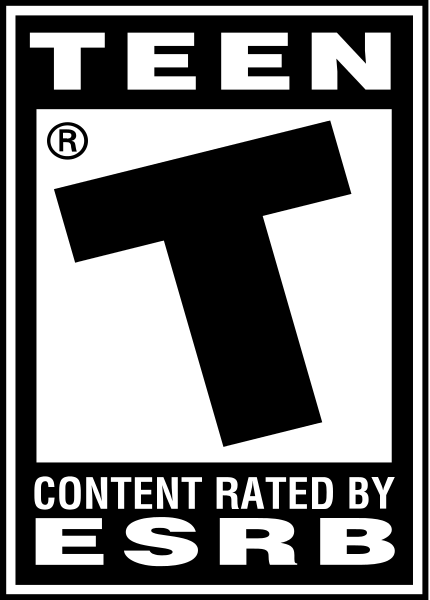 Pirates have seized the good ship PlayStation! The crafty minds behind some of the most clever adventure games on PC (including the Monkey Island series and the beloved Sam and Max Hit the Road) have unsheathed their daggers and commandeered all the booty from the PlayStation 2 in the making of their latest adventure game. 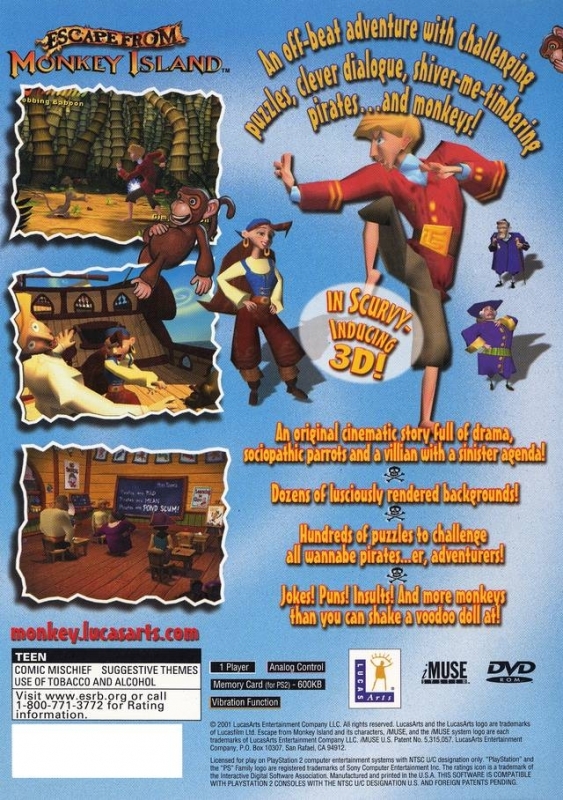 Escape From Monkey Island, the fourth and most recent chapter in the series, buckles its swash in this hysterical and challenging adventure game. 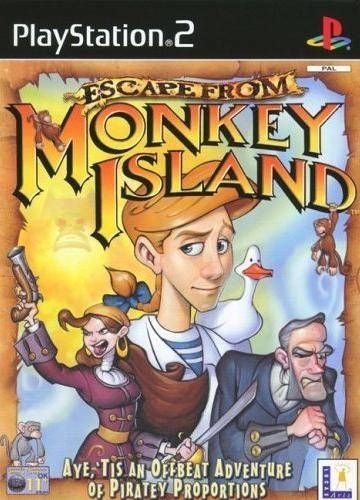 The heroic Guybrush Threepwood returns to Melee Island to find his new bride endangered, his long-time nemesis Chuck LeChuck digging deeply into a brand new diabolical plot, and a big ol' ship-load of monkeys bumbling all about. Each seemingly useless item has a bizarre use for those clever enough to solve the game's riddles, so think twice before you try using your Pirate's Grog, your Old Cologne, or your...er, your duck. Lush animated visuals sway in the breeze of a flurry of puns, gags, one-liners, and jokes in this witty puzzler, as Guybrush valiantly trots off into adventure seeking a way to stop the forces scheming against him from unleashing the power of a terrible new weapon...the Ultimate Insult!